For many of us, these words evoke the isolation, harshness, and difficulty which Mary and Joseph must have faced at Jesus’ birth. Images of cold, windswept winter hills in Bethlehem, overcrowded inns, and a futile attempt to find housing in a strange city paint a bleak picture of the first Christmas, one that fills our Western hearts with sympathy for the new mother and her babe. 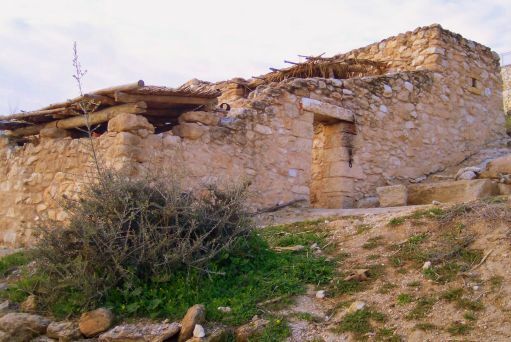 The architecture of the family home both today and in antiquity made provision for the occasional guest. The most common dwelling was the courtyard home which was multi-leveled. 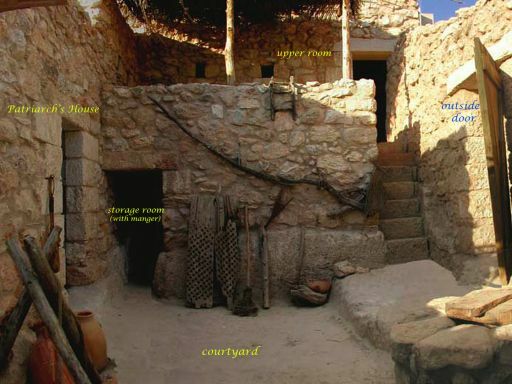 A lower room or cellar was used as a storeroom. In the hilly areas like Bethlehem, a cave adjacent to the courtyard might often be adapted for this purpose. Here the family’s prized or more vulnerable animals could be fed and sheltered at night, protected from the cold, thieves and predators. These facts may shed new light on the circumstances surrounding Jesus’ birth. The evangelist presents the picture of a census in Luke 2:1-7, in which all heads of household had to return to their cities of origin. For Joseph, it was Bethlehem. When they arrived, Joseph most likelywent straight to his paternal home, seeking the help and protection of his relatives currently living there, and received it, for Mary was pregnant and Jewish custom would demand such a response. Some time passed, and ‘the time came for her to be delivered’.